John Gentry joined the Ozarks Technical Community College Board of Trustees in April 2016. 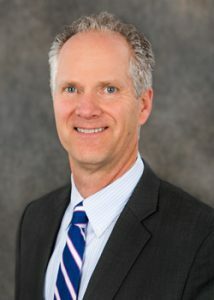 Prior to his election to the OTC Board of Trustees, Gentry served as a member of the OTC Foundation Board of Directors. Born in Long Beach, Calif. and raised in Springfield, Mo., Mr. Gentry is president and chairman of the board of Positronic Industries in Springfield. He received his bachelor’s degree in chemical engineering from the Georgia Institute of Technology in 1979. Utilizing his engineering and creative skills, Mr. Gentry is the inventor of six U.S. patents and numerous international patents, many of them critical to the leadership role that Positronic plays in the electronics industry. Mr. Gentry is an active community member and a civic-minded leader. He takes a deep interest in the educational needs of OTC students as well as the long-term well being of the college. Mr. Gentry lives in Springfield and is currently serving on the boards and committees of the Springfield Area Chamber of Commerce, Every Child Promise, Positronic Industries Inc., Missouri Association of Manufacturers, the World Presidents’ Organization (Greater Ozarks Chapter), the UMB Bank Advisory Board and as a trustee on the Missouri Association of Manufacturers Health Source. Mr. Gentry is married to Susan S. Gentry. They have two adult sons, John Jr. and Benjamin.